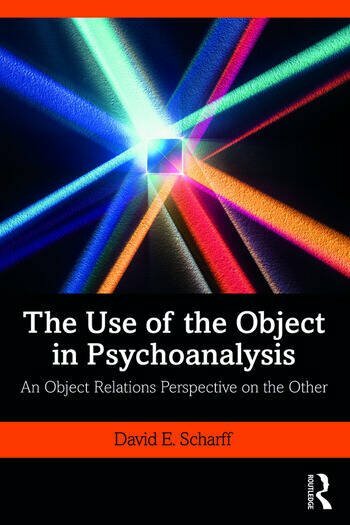 Using Winnicott’s classic paper as its starting point, this fascinating collection explores a range of clinical and theoretical psychoanalytic perspectives around relating to ‘the object’. Each author approaches the topic from a different angle, switching between the patient’s use of others in their internal and external lives, their use of their therapist, and the therapist’s own use of their patients. The use of objects is susceptible to wide interpretation and elaboration; it is both a normal phenomenon and a marker for certain personal difficulties, or even psychopathologies, seen in clinical practice. While it is normal for people to relate to others through the lens of their internal objects in ways that give added meaning to aspects of their lives, it becomes problematic when people live as if devoid of a self, and instead live almost exclusively through the others who form their internal worlds, often leading them to feel that they cannot be happy until and unless others change. Assessing the significance of objects among adult and child patients, groups and the group-as-object, and exploring Freud’s own use of objects, The Use of the Object in Psychoanalysis will be of significant interest both to experienced psychoanalysts and psychotherapists, and to trainees exploring important theoretical questions. What Does the Other (in Our Patients' Lives) Have to Do with It? David E. Scharff, M.D., is Co-Founder and Chair Emeritus of the Board, International Psychotherapy Institute, Chair of the International Psychoanalytic Association’s Committee on Couple and Family Psychoanalysis, and Editor of the journal, Psychoanalysis and Psychotherapy in China. "By compiling and editing this superb volume, David Scharff has made an important contribution to our field. Each of the original and informative essays in the book enhances our understanding and appreciation of the various uses of the object, a topic of great importance and one that has been much neglected in the literature. This landmark work not only corrects that defficiency, but provides a valuable educational experience for students and practitioners alike. This is a book that belongs in the library of every analytic therapist." --Theodore Jacobs, MD, member of the New York Psychoanalytic Association, Author, The Use of the Self and The Possible Profession"
"This highly original book hugely extends the study of the variety of ways in which we may use our objects, and for that matter, misuse them or be misused by them. Disturbing interactions between internal and powerful external objects are examined, and careful distinctions between oedipal and pre-oedipal matters always carefully observed. There is deep and moving analytic work and thinking being carried out here. Prepare to be edified and surprised!" --Anne Alvarez, Ph D, MACP. Consultant Child and Adolescent Psychotherapist. Author, Live Company and The Thinking Heart.